Nathan called and wanted a new noserider. 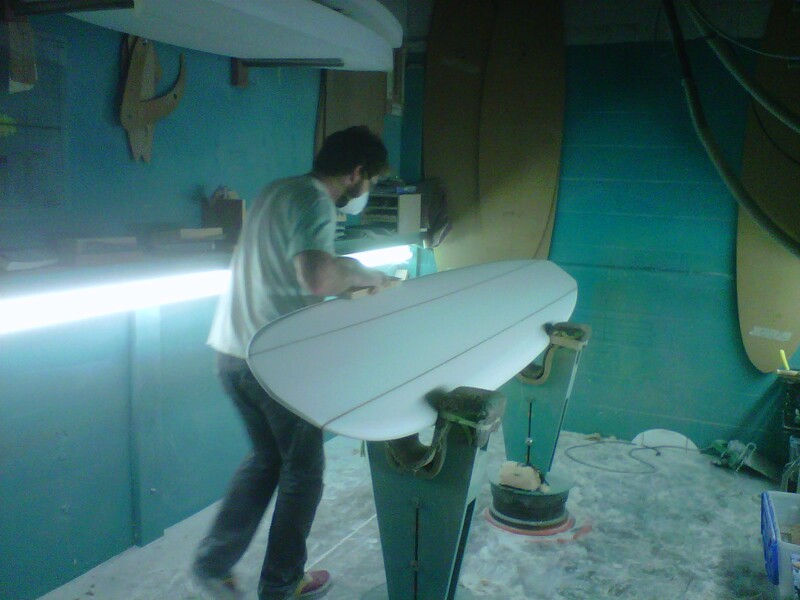 When I learned he had already shaped some shortboards, I invited him down to the shop and together we created this beauty. Nathan did most of the work, while I offered encouragement and some helpful hints. Even Ray got into the act, schooling us both on tailblock grinding. Surfing and shaping are soulful experiences meant to be shared with others. 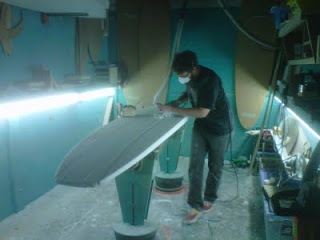 I always invite those interested to watch me shape their new board. Those that do go away with a new appreciation for their equipment, and a better understanding of how and why it works. When’s the last time you saw your board go from raw blank to a shape begging to be ridden? Isn’t it time you did?